EASY WAY TO GET BEST OFFER! PLEASE MAIL US YOUR PERİOD, GROUP MEMBERS AND BUDGET LEVEL THAN WE WILL DO OUR BEST FOR YOU. ***************************************************************** PRICES ARE STARTING PRICES AND ON DAILY BASES.!!!! 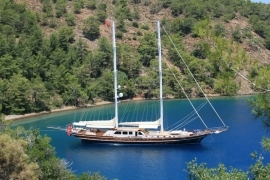 Yacht charter has so much to offer, such as gulet charter in Turkey, luxury motor yacht or mega yacht charter Mediterranean also wide range of itineraries and gulet yacht fleet to suit all budgets, it is beautiful coastline where the clean turquoise Aegean and Mediterranean seas meet, is the centre of the blue cruise route. Not only is the weather perfectly suited with its long summer sunshine, the light afternoon breezes offer the opportunity to open the sails on a gulet cruise, with swimming and walking options, explore historic ruins, smell the wild herbs and see traditional village life or snorkel, canoe, windsurf, jet ski, make excursions on blue cruise or simply relax on your sun bed with your book! 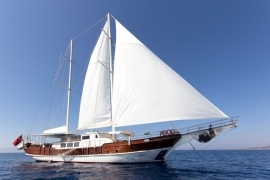 On blue cruise; Gulet or yacht will sail to new locations every day to visit small resorts with pretty harbours, allowing opportunities for shopping and sightseeing. Whether you choose a luxurious motor yacht, or a traditional Turkish wooden gulet, you can be assured of comfortable cabins with en-suite facilities, spacious decks with dining facilities, plus a helpful knowledgeable crew to look after you. 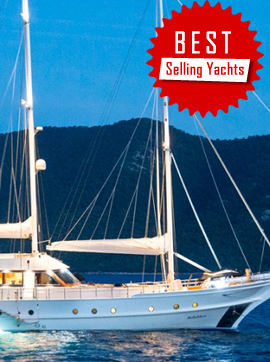 Elle Yachting offer simply selected yachts and gulets for gulet cruise and itinerary and we will take care of all of the arrangements. Initially, you may have many queries regards group size, budgets or indeed other special requirements. Simply email or call one of our experienced, discreet staff, who is ready to help you. At Elle Yachting we make your dream a reality! 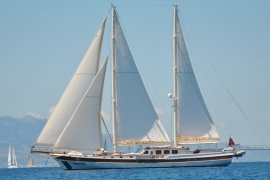 Weekly yacht charter is generally hired to a gulet or yacht with family or groups of friends for a week or more. Generally based on the experienced weekly itineraries so we are able to provide many of charter yachts itineraries and offer a quality range of gulets and motor yachts to suit all your budget and needs. Most popular routs are such as; from Bodrum to Greek Islands” Dodecanese”, from Marmaris to Fethiye or Rhodes and Symi. 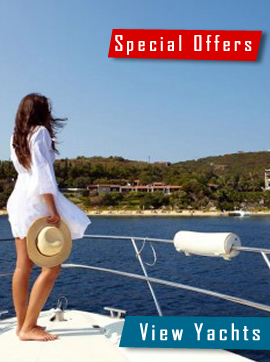 Popular ports are Kos, Rhodes, Bodrum, Marmaris and Fethiye to embarking for your weekly yacht charter. First send us an enquiry e-mail with as much information as you can, such as; how many people of your group members, possible dates for your holiday and budget etc. We will contact you to identify and understand your exact requirements. In that point we are ready to guide you to choose the right yacht available all offering with accommodation, amenities, toys, tenders and facilities to get a feel for what is suitable to your needs. Most competitive prices and finest service, access to all specials and discounts 2019. Customized service in the yachting industry with our team of professionals. Haven't you found what you are looking for? Just call us for friendly advice and professional consultant. 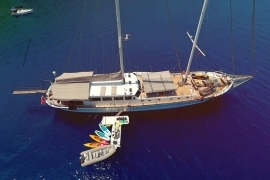 The best charter yacht and gulet options for your preferences in Mediterranean. © Elle Yachting & Brokerage. All rights reserved.